This list was voted for by you guys. Your votes decided the order in which the 12 men (not including John Hurt as The War Doctor) to have played the titular character in the seminal BBC series Doctor Who placed on this list. And this is important to note because I disagree entirely with the placements on this list with the exception of the person who came last. I agree with who made the top 3 but I would have had them in a slightly different order and I completely disagree with every other placement. But this isn't one of my lists, it was a vote and I'm not going to claim fraudulent voting or present any alternative facts that will make everything appear as I want it to, despite the fact that I could if I so wished and you'd never know, I'm just going to show you things how they are. So, with that all said, here is what you guys decided was the order of Worst To Best portrayals of The Doctor (and where I'd rank them). I'm sure everyone was expecting this. 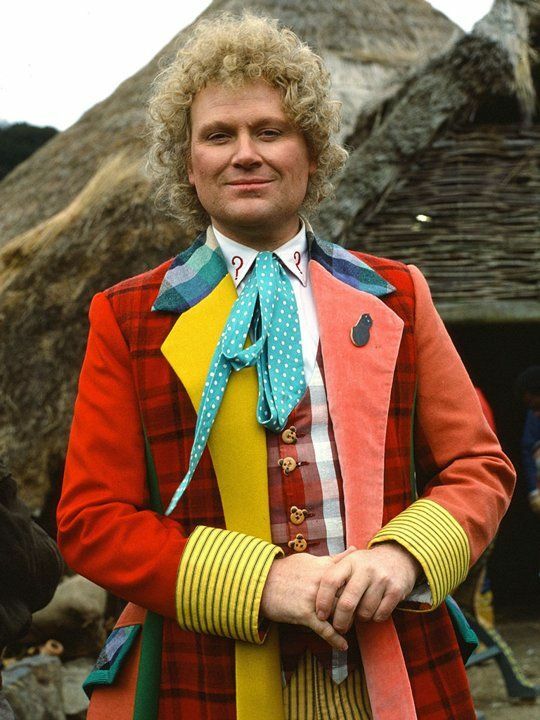 Unlike the other Baker to play the Time Lord, Colin Baker's Doctor was notoriously hard to like. His character was standoff-ish, antagonistic, egotistical and often childishly petulant (a trait which Baker has carried on in regards to his role in the show its self since leaving). He was often rude to his companions, when he wasn't trying to murder them in fits of post-regeneration madness that is, something which carried over to pretty much anyone else he encountered due to his massive superiority complex. During his time as Doctor the series began becoming more violent, with a serial set in the future where torture was used as a form of televised entertainment coming under particular scrutiny. It's also notable that Bakers first season was put on hiatus for 18 months after only half the episodes had been transmitted and by the time the series returned, the number of episodes had been cut. And then we have the outfit, which Baker himself sums up best when he said that the only good thing about wearing it was that he didn't have to look at it. So far, Baker is the only actor not to have filmed a regeneration sequence to pass the role on to the next actor to play the part, because he refused after he was sacked, meaning that Sylvester McCoy had to play the role of the 6th Doctor by wearing a blonde wig. Sad really. No. Wrong. Completely brimming over with wrongability. You guys put Sylvester McCoy as the 2nd worst Doctor of all time. Y'all are idiots. Ok, he might have the lowest viewing figures of any Doctor, but that's like saying that an album isn't good because it didn't sell million and millions of copies. His Doctor was possibly the most layered and nuanced of the lot, a bumbling clown at first glance but beneath the surface lay a ruthless tactician and a brilliant trickster. He could go from mischievous to manipulative at the drop of his panama and had charm to spare, which made his darker moments all the more intriguing. He was the Doctor that made you wonder about the Doctor's secrets, his run basically laid the ground work for much of the intrigue the writers have worked into the character since the relaunch. And lets not forget that he was also the most alien Doctor since the 2nd, something which has certainly inspired the last two Doctors to some extent. And before anyone says that his stories were bad, go back and actually watch them. Remembrance Of The Daleks was the best Dalek centric episode since Tom Baker, The Happiness Patrol has some excellent satire (when taken with the context of the time) and The Curse Of Fenric is great period. So why you guys thought to put McCoy second bottom is beyond me. He isn't the best Doctor but he's nowhere near being one of the worst. It would be unfair to expect any higher of a placement for the 8th Doctor. His entire televised output consists of the TV movie (which, while not bad, isn't exactly the greatest episode ever produced) and a less than 10 minute internet only "webisode" in the lead up to the 50th anniversary special. All his other adventures are confined to audio-books, which are generally off of most fans radars, meaning he is the shortest tenured Doctor in terms of screen time and really that's what we have to judge him on. He had a grand total of 1 hour and 32 minutes of screen time to his name and from just his on-screen appearances, it's hard to really get a feel for how McGanns Doctor would have turned out had there been a full series. However, you guys still think that he's better than McCoy. Baker yes, McCoy no. Now at this point the votes go all types of strange, at least to me any way. I'm legitimately surprised at how badly Davidson did. Yes he had the misfortune to follow Tom Baker, but his Doctor was very easy to watch and like and he was involved in some classic episodes. The fifth Doctor was very different to his predecessors in that he was far more reserved and vulnerable, often taking a backseat to other characters who were more authoritive and had a greater presence, whilst being arguably the most courageous and compassionate of any Doctor during the shows original run. He was really the only Doctor of the original run to treat his companions as equals, something which has become somewhat of a cornerstone of the revived series. And of course, we have to give him some sort of recognition for attempting to make celery an acceptable fashion accessory, even if the attempt failed miserably. Maybe this is a fair place to put Hartnell? On the one hand, if it wasn't for his success in the role this list wouldn't exist. On the other hand, a lot of his episodes are missing due to an unfortunate BBC scrappage project in the 70's/ 80's and a lot of his episodes are relatively tame to a modern audience, which does make his lower placement make sense. And of course, being the first doesn't always equal being the best and there are certainly other incarnations that are more synonymous with the role than Hartnell is, despite his original staus. Credit where credit is due though, his tenure saw the character go from a stern, aloof old curmudgeon who would often patronise his companions and his enemies to a mellow, grandfatherly "wizard" who the audience came to adore. And his run introduced the series two most recognisable foes in the Daleks and the Cybermen. But, yeah, time and administrative incompetence mean Hartnell ends up in the lower half of the board on this occasion. Many of the same problems that affect Hartnell's placement on the list also affect Troughton unfortunately. If anything, even fewer of the second Doctor's episodes survive, with only two serials from this time existing in their entirety, with 10 existing partially and 4 completely missing, meaning most of his stories are now unwatchable. However, there is one thing that Troughton has to his advantage. His legacy is cemented by proxy, due to the recognition he receives from other Doctors, with Davidson, Colin Baker, McCoy and Smith all citing the "cosmic hobo" as their favourite incarnation of the character, lending him somewhat of a mythical status (something that was definitely amplified during the Smith era, as that Doctor borrowed heavily from the 2nd). His tenure also brought many lasting aspects of the series. It introduced UNIT and the much beloved Brigadier Lethbridge-Stewart, who would become a stalwart of the original series, and the end of Troughton's run saw the first introduction of the Time Lords. He was also the first Doctor to use the Sonic Screwdriver and the first to express dissatisfaction at the redecoration of a room, something that has become a running gag for the series. His Doctor was the first to play the buffoon to lure his enemies into a false sense of security, a trope repeated by at least 3 other Doctors, and his tenure saw a gradual shift away from the historical episodes that had defined Hartnell's incarnation towards the more familiar "monster of the week" style of story that the show still employs. Though hard to really gage today how great his performance really was (due to the near destruction of his entire run) it could be argued that Troughton's Doctor was more important than good. 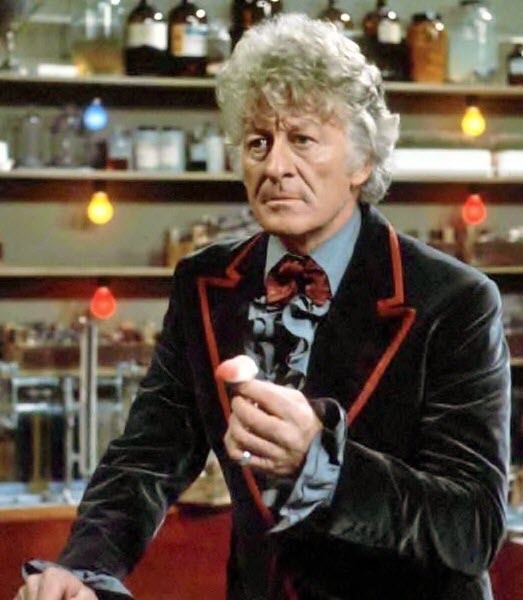 The flashy, flamboyant, suave, action-oriented Doctor who wasn't afraid to lay someone out with Venusian Aikido, Pertwee's Doctor is still pretty much unique. Due to the series becoming more Earth oriented, the stories and character began to take a turn more towards action and intrigue, not unlike series like The Professionals or The Avengers, hence the martial arts and the open top sports car. The stories also became more focused on current issues, concerning things like the energy crisis (Doctor Who and the Silurians/ Inferno/ The Claws Of Axos/ The Three Doctors), environmental issues (The Green Death), colonialism (The Mutants/ Frontier in Space) and industrial insecurity (Spearhead For Space/ Terror of the Autons), with the Doctor showing a general distaste for bureaucracy and red-tape, a prevalent feeling at the time especially in Britain. Pertwee's tenure also gave us two of the series most recognised villains in The Sontarans and, of course, The Master, who would have an entire series dedicated to his battles against the 3rd Doctor. Amongst all of this, the 3rd Doctor never lost any of his intelligence and managed to find a balance between arrogance and charm that made the character a joy to watch. And here we get back to the major disagreement I have with this list. I do not think Ecclestone was a bad Doctor and I don't think the sole series he had as Doctor was a bad series. However, I do think he was the wrong Doctor for that series. Ecclestone's portrayal of the Doctor fresh from the Time War was on point, he was dark, moody and aggressive, yet still excited to see new things and visit new places. Yet the series he was cast in was relaunching its self after a near decade long absence and was finding its feet. The first series of the revived show was still ostensibly a childrens show and though there are darker moments where Ecclestone could shine (The Empty Child/ Doctor Dances duo and Father's Day) his darker Doctor didn't really fit the tone of the rest of the series for me. he was the right Doctor for the wrong era of the show. However, his characterisation as the Doctor also has some problems. He can be difficult to enjoy at points, he lacks to endearing quirks that a lot of the other Doctor's have and he is only slightly more charming than Colin Baker, which is a problem. Yet, he's ranked higher than McCoy, Davidson, Hartnell, Troughton and even Pertwee. Why? Well, he's a modern Doctor. A lot of people started the series with Ecclestone (myself included), he only stuck around for a single season, meaning he had less chances to get any bad episodes, and he was the Doctor that brought the series back from hiatus. I may not rate him that high, but obviously a few people have fond memories of the northern Doctor. The incumbent Doctor, it's interesting to see Capaldi this high. There is no denying that he is excellent in the role, but for my money there's often something missing. His first series was somewhat of a mess, with continuity errors and a decent handful of bad episodes and it took a long time (around a season and a half) for Capaldi to really feel like he fit the role. When he is given a good story to work with, he can be excellent, his character harks back to numerous previous incarnations in many different ways. He has the arrogance of the 6th (only in a toned down manner), he has the manipulativeness of the 7th, he has the brooding manner of the 9th along with the occasional wide-eyed enthusiasm of the same. He can drop hints of the 3rd and 4th Doctors in mannerisms and speech patterns. Yet his abrasiveness and initial lack of charm let him down. At this point, I personally wouldn't put him this high, but we'll have to wait and see how his final season pans out and what his legacy is in the role. I will make no bones about it, the 12th incarnation of the Doctor is my favourite. I understand why he only placed 3rd on the list, but if it were my list, he wouldn't be there. However, considering who beat him, it is acceptable. Anyway, the one thing you will notice about our top 3 Doctors is that the overriding feeling throughout their tenures in the role was how fun it was. Each of our top 3 had that indescribable "it" factor that make them stand head and shoulders above all the rest, and Smith had whatever "it" is in abundance. Smith's Doctor approached every scenario with wide-eyed boyish enthusiasm and would spend just as much time exclaiming about how much fun he was having and how brilliant each situation was as he did actually fighting monsters. He managed to make Bowties and Fez's cool, put a swimming pool in a library and have a thing for bunkbeds, yet despite all of this (or maybe because of it) it when he was forced to show his darker side that he excelled. I can only think of one Doctor who (no pun intended) could match Smith in terms of his powerful, commanding delivery of a righteous speech. 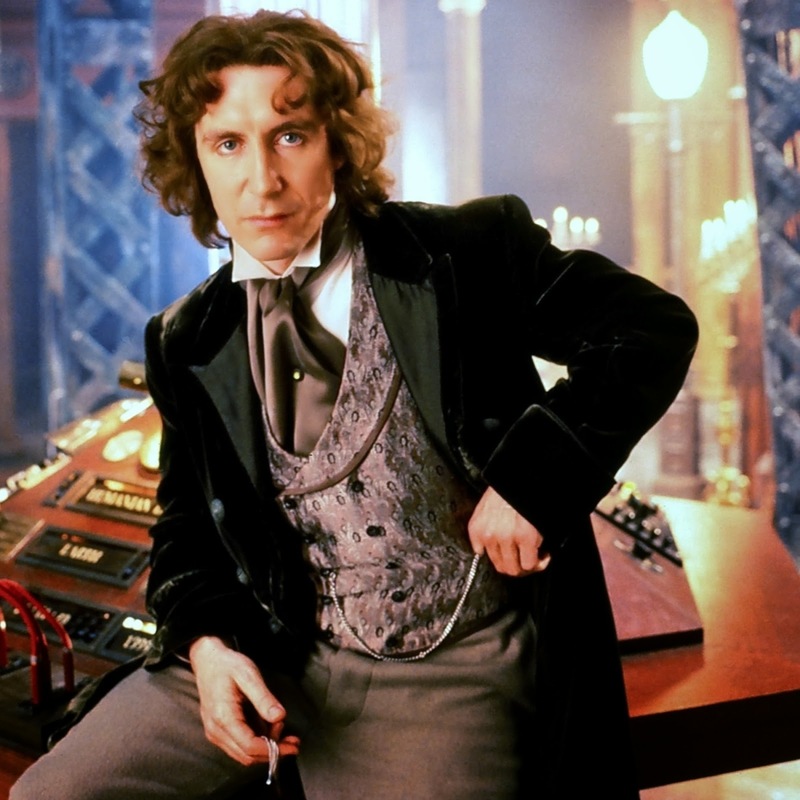 In my opinion, he was the best at blending the key parts of what makes a great Doctor, the charm, the eccentricity, the commanding presence and the sense of fun that makes the character so special. That's why he's my favourite, but as I said, it's understandable as to why he's in 3rd place. If we're being honest, in most people's minds there really is only one Doctor. When you think of the character you don't think of an old man dressed in Edwardian dinner wear, or a dandy with a frilly collar. Nor do you think of a man who wears celery as an accessory to a cricketing outfit, nor what ever the hell it was Colin Baker wore. You don't even really think of a blue pinstripe suit with brown overcoat or tweed and bowties. No, when you think of The Doctor you think of the wild curly mane, the wide brimmed hat, the manic staring eyes and almost insane excited grin. You think of jelly babies and strange, off-hand jokes. And you think of the scarf. 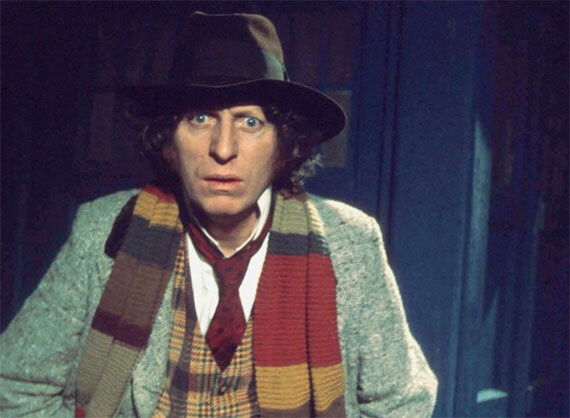 Tom Baker is The Doctor in many respects. His image is the enduring one for the series as a whole, he was in the role the longest, was in the most truly classic episodes (including the one that is most often voted as the best of all time: Genesis Of The Daleks) and he fought literally all of the series greatest foes, from the Daleks to the Cybermen, the Sontarans to the Zygons and even The Master. Like Matt Smith, he had that undeniable "it" that made his Doctor so enjoyable to watch, so fun. However, he couldn't win the vote outright, and only personal preference would stop me ranking him at the number 1 spot if this were my list. It was a very close vote, but in the end, even the 4th had to concede the title of Best Doctor. It's actually harder to make a case against David Tennant's incarnation being the best Doctor of all time than it is to make a case for it, even when you put him against Tom Baker, Matt Smith, John Pertwee etc. I mean, he's won every other poll to find the best Doctor since the series was revived in 2005, so why should anyone have expected this poll to turn out any different? Undeniably the best actor to play the role, he brings out a much more human side of the character alongside a much more complex side that had only been seen occasionally in previous Doctors. Whilst very close in personality to his successor, the Tenth Doctor was more controlled in his manic enthusiasm and general eccentricity, while still retaining that "it" factor that made Baker and Smith so mesmerising to watch. And it is also worth noting that, despite not being the first Doctor of the revived series, the tenth was the Doctor that really got the new series off the ground, even to the extent that the BBC considered cancelling the show when Tennant announced his intention to leave as they thought the show wouldn't be able to survive without him. That is saying something, when the whole gist of a show, the whole reason it managed to survive for as long as it did throughout its first run was by replacing the lead actor and reinventing the character, and yet the BBC were willing to throw that away, as well as their highest rated show, because they didn't think that anyone could match Tennant in the role. Thank God Matt Smith was as good as he was, because if he'd flopped the series would be gone. Like I said, it's very hard to make a case against Tennant being number 1, other than personal preference (which is why Matt Smith is my 1st place). So that's the list. What do you guys think? Do you agree with the voted rankings or are my rankings more to your taste? Let us know in the comments below. Three of these, or perhaps four, I couldn’t have voted on because I haven’t seen enough of them to decide. In general, my vote was Smith’s tops, Tennant, Pertwee, Tom being top four. 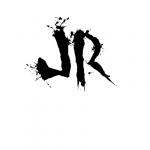 In general my why’s are the same as JR’s. For all that, I would have insisted on putting Hurt in the list right above Tom. He seemed to encapsulate the role perfectly well with less material, less opportunity, and less shenanigans. My list would also be incomplete. I’ve only seen one Troughton episode, two Hartnell episodes, three or four Pertwee, one or two Davidson, and exactly one part of one episode of McCoy. (Matter of fact, I’ve seen more episodes of Mcgann than McCoy!) And I had no trouble relating to many of the Doctors that JR found unrelatable. My #1 is Eccleston, narrowly beating out my previous favorite, Tom Baker. I loved his smile. Especially the smiles that were not truly smiles. That man could express so much with different smiles! And I have always been a fan of sarcasm. #2 therefore is Tom Baker. 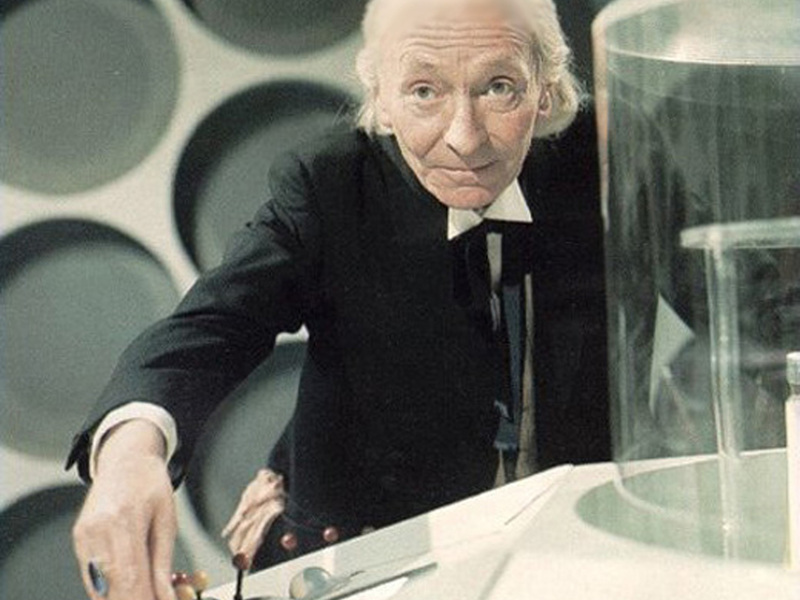 He was my first Doctor, and the one I have seen the most episodes of. ‘Nuff said. #3 Peter Capaldi. I think. 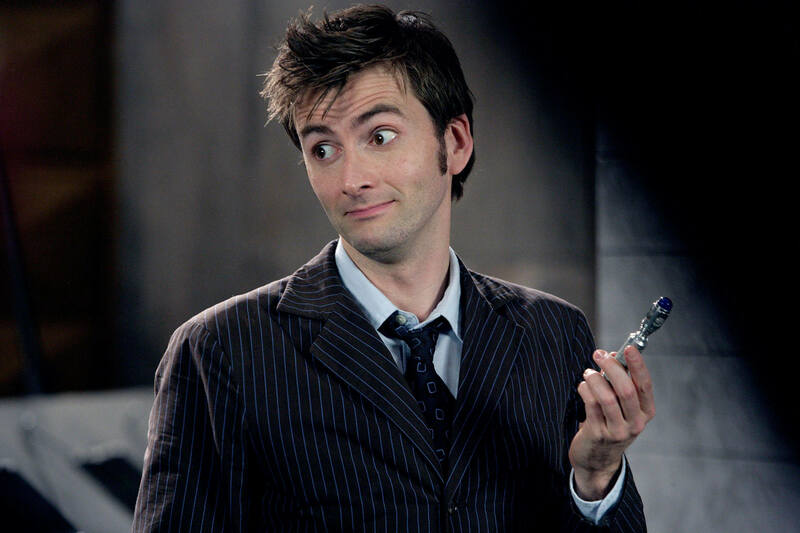 #4 David Tennant. ‘Nuff said again. Peter Cushing was the best doctor he really helped that Frankenstein guy out. Really i’ve have a soft spot for him as doctor who, maybe it’s getting the film on video first.